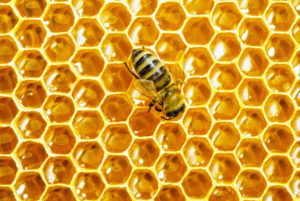 The following are some interesting articles about bees from various news outlets. It’s important to understand how bees are faring in today’s world, with all of the chemical they are exposed to. While excavating Egypt’s famous pyramids, archaeologists have found pots of honey in an ancient tomb. The honey, dating back approximately 3,000 years, is the world’s oldest sample – and still perfectly edible. The secret behind honey’s eternal shelf life is a range of factors. Hydrogen peroxide, acidity and lack of water work together to make this sticky substance last forever. The ancient Egyptians used honey for a multitude of purposes including as a sweetener, a gift for the gods and an ingredient in embalming fluid. In response to the ensuing outcry from local farmers after last Sunday’s bout of aerial spraying in Dorchester County, the local administrator’s office announced that the state health department had reported four travel-related cases of Zika virus in the Summerville area of Dorchester County on Friday 26 August.